What's New for the 2019 Lincoln MKC? The 2019 Lincoln MKC is the most recent Lincoln vehicle to be announced and released on the market and the latest in the MKC model line. The new Lincoln MKC is another vehicle in the long line of crossover SUVs that are of premium quality, with all of the comfort to match it. The new MKC does have a handful of new features this year, such as a new grille that is very similar to ones put on the Navigator and Continental vehicles. There is also a bit more space found in this new model than in last year's version. What Trim Levels Can We Expect From the 2019 MKC? The 2019 MKC is built with several trim levels and features to give drivers a more unique experience when they're on the road. The MKC comes with four trim levels: the Base, Select, and Reserve models. The Base is exactly what it says it is and has the normal standard features such as 18-inch wheels, automatic LED lights, keyless entry and ignition startup and dual-zone automatic climate control. The Select trim model adds in auto-dimming and power-folding mirrors, a power-adjustable steering wheel and improved leather upholstery. It also comes with some special options such as a panoramic sunroof and a new navigation system. The Reserve model is more of an extension of the Select trim, but includes the former's optional settings such as ventilated front seats and the choice of having 19-inch or 20-inch wheel. The Select, and Reserve trims come with a special Climate package that allow for heated rear seats. Is the 2019 MKC Built to Perform? 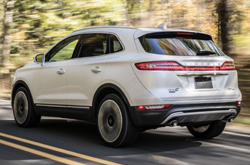 The 2019 Lincoln MKC is outfitted with an engine that is able to take on the workload and provide the output needed for the vehicle. The engine for the new MKC has the strength to produce a 245 horsepower rating with up to 5,500 wheel revolutions per minute and also 275 feet by pounds of torque. It allows the vehicle to tow up to 3,000 pounds of material and has a 6-speed shiftable automatic transmission and an all-wheel drive to match. The car runs on regular unleaded fuel and has a fuel economy hat allows for 21 combined miles per gallon, reaching 19 MPGs on the city and 25 MPGs when on the highway. The Lincoln MKC is made as a safe vehicle and comes with all of the necessary features that ensure it is a secure and enjoyable ride. Passenger safety is the most crucial aspect of driving and younger passengers are especially well protected with the standard inclusion of rear door safety locks and special seating anchors. A post-collision safety system has been installed to track the vehicle status in the event of a car accident. Daytime running lights are a standard feature but there are also auto delay on lights and dusk sensing lights that readily adjust to the time of day for the driver. Traction and stability control have all been improved, with the inclusion of a 4-wheel ABS and new emergency braking assist that activates in case of a brake failure. The LINCOLN MKC Is on Site! Have the 2019 BMW X1, Infiniti QX30 and the Lexus NX caught your attention? Then you should also examine buying a 2019 LINCOLN MKC in the Houston area. Its cabin features and polished styling might just seal the deal if you're looking at a handful of cars. Take advantage of the tools in our review to find out if the 2019 LINCOLN MKC is a good choice for you, then browse current financing and leasing offers! 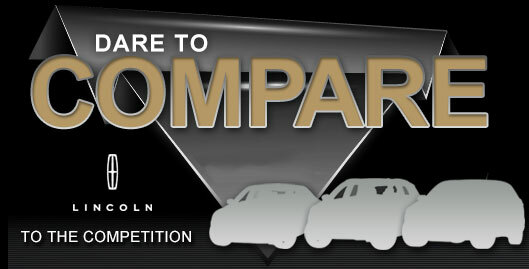 Visit us right away if you're looking for a resident LINCOLN MKC dealer with incentives you won't want to ignore. To help you make a shrewd decision when deciding on your next car, we've included this 2019 LINCOLN MKC review right on our site, making it a cinch to find the information you . You will surely be impressed when you visit Joe Myers Lincoln to test drive the LINCOLN MKC; we encourage you to come explore the model upfront. Check out our video clip to take a glance at its polished exterior design prior to your visit. *Get Today's Price is available to all customers and can also be obtained by calling or coming into the dealership today. Purchase prices do not include tax, title, license and $150.00 doc fee. Prices include the listed manufacturer rebates. Please verify all information. We are not responsible for typographical, technical, or misprint errors. Inventory is subject to prior sale. Contact us via phone or email for more details. *MPG Based on 2019 EPA mileage ratings. Use for comparison purposes only. Your mileage will vary depending on driving conditions, how you drive and maintain your vehicle, battery-pack age/condition, and other factors.